Come see animals of all different kinds enjoy a picnic in this delightful story that beginning readers will love reading again and again. 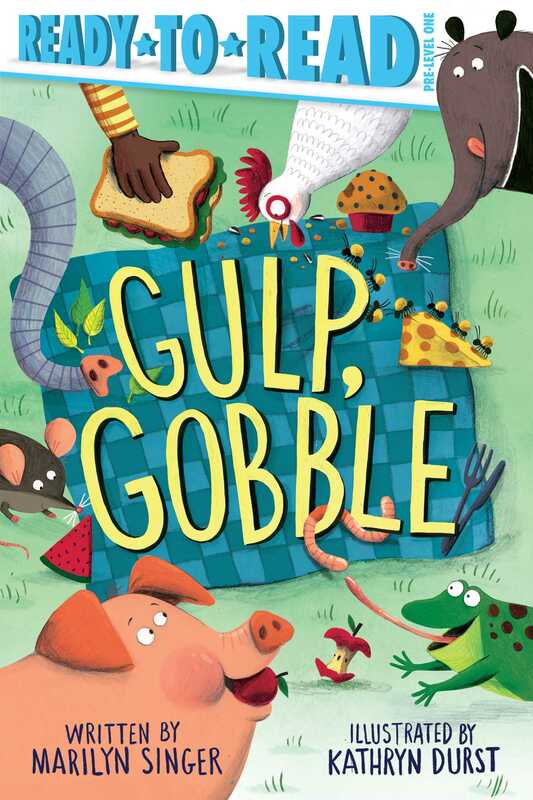 See how a frog “gulps,” a shark “gobbles,” a chicken “pecks,” and more. And don’t miss the fun surprise at the end! This story features only twenty-four rhyming words and comes with a pronunciation guide! Author of more than one hundred books in many genres, Marilyn Singer is the winner of the 2015 NCTE Award for Excellence in Poetry for Children. Her works include Mirror, Mirror, which was an ALA Notable Book, has won the Cybils Award for poetry, and was on eight major best-books-of-the-year lists; Venom, an NCTE Orbis Pictus Honor Book for Outstanding Nonfiction for Children; Fireflies at Midnight, a School Library Journal Best Book; and Tallulah’s Tutu and its sequels. 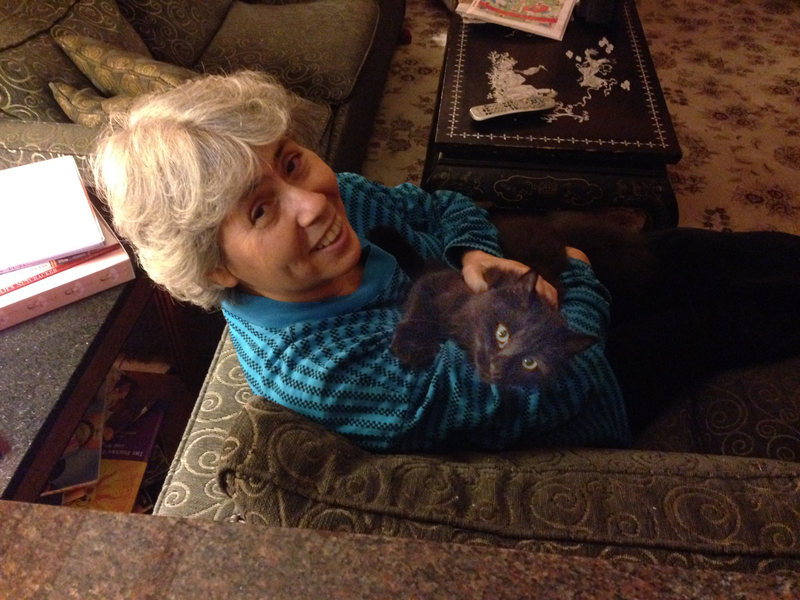 She lives in Brooklyn, New York, and Washington, Connecticut, with her husband and several pets. Visit her online at MarilynSinger.net. Kathryn Durst has been drawing ever since she could hold a pencil, and it is still her favorite thing to do. When she is not drawing, she may be found playing the accordion, growing vegetables, folk dancing, or putting on shadow puppet shows. She lives in Toronto, Canada, with her grumpy mini dachshund named Chili Dog.